How many times have you seen instructions like "Subscribe Now" - "Sign Up Today" - "Contact Us To Find Out More" - "Buy Now" online? Do you have any on your own website? If not, we strongly advise that you get some! Calls To Action (CTAs) help your website to work hard for you. They are also very valuable in email campaigns, because one of the purposes of an email campaign is to get your potential customers to take an action. Get your CTAs wrong and you are potentially damaging your digital marketing efforts. So how can I make them work for me? Make it clear what the customer will achieve by clicking on your CTA. Use concise language. If you want your customer to ‘Download full report’ then say so. Not ‘Click here to be amazed by our survey’s results’. Avoid open-ended invitations such as ‘Click here’ or ‘Submit’. Instead, state a clear outcome, such as 'Buy now’, or ‘Download your free trial’. Whether presented as a button, advert, text or image, your CTA needs to stand out from the rest of the page in terms of colour, design and position. Don’t hide it away where it won't be found. Its position on your web page is vital. Generally, lead generation or eCommerce CTAs should be displayed prominently near the top of the page, whilst more complex pages might warrant a CTA below the 'fold'. If you’re aiming at a mobile audience (and most people are), don’t bury your CTA at the bottom of your page - users will be required to scroll endlessly to reach it. Also, don't use tiny buttons that will go unnoticed on a small screen. People like the personal touch. Think about the language you use. Amazingly, a case study from the MarketingSherpa Email Summit 2013 showed a 90% increase in sign-ups by altering one word in a CTA, from ‘Start your free 30 day trial’ to ‘Start my free 30 day trial’. Testing will allow you to maximise the impact of your CTA and understand the preferences of your audience. It's worth trying different wording, and placing your CTA in different areas to see what works best. Make sure your CTA does what it says. If you've promised a free report, make sure the CTA leads straight there, not to your homepage or to a series of complex sign-up procedures. Potential customers may get frustrated and leave the page. If your CTA is embedded as an image, make sure you alt tag it with strong keywords. You may need to ask your web developer for help! Alt tags ensure your content is correctly indexed with search engines, and will help to maximise traffic and improve your SEO. 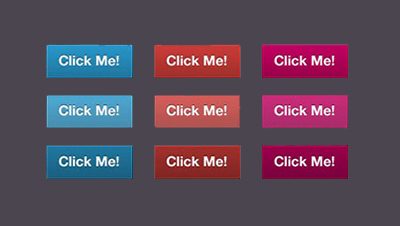 Don’t confuse your visitors with too many CTAs or buttons per page. Where more than one CTA is necessary, create a hierarchy to prioritise. The most important ones should be bigger and placed in a prominent position to maximise clicks.